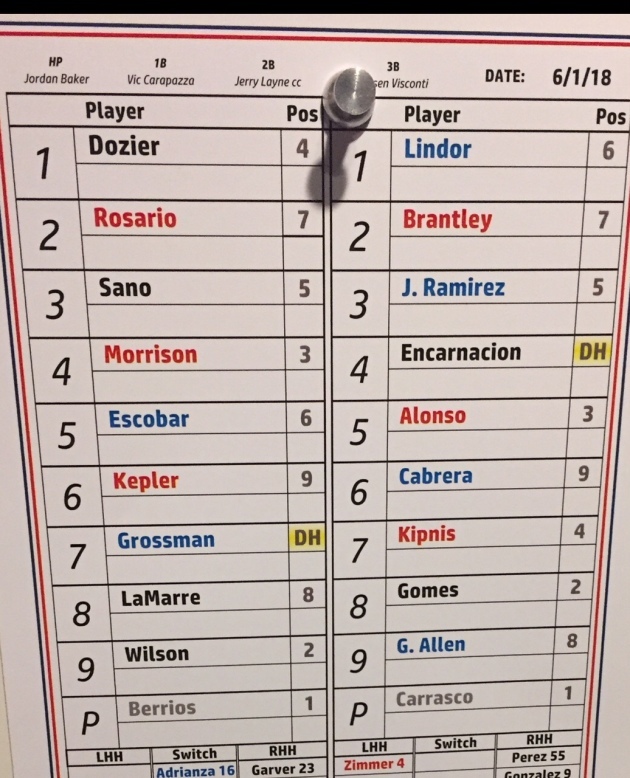 The Twins and Cleveland meet at 7:10 p.m. in the second game of a four-game series. Bobby Wilson will catch Jose Berrios (5-5, 3.67 ERA and pictured above) tonight. Carlos Carrasco (6-3, 3.98) pitches for the Indians. The Twins fell behind 8-0 on Thursday night before rallying to tie the score at eight, but lost on Francisco Lindor's home run. The team is preparing for next week's MLB draft. For an early look at their strategy, check out Phil Miller's Sunday Insider here.